We found where this view was taken, but liked our vantage point better. If only the weather had cooperated. 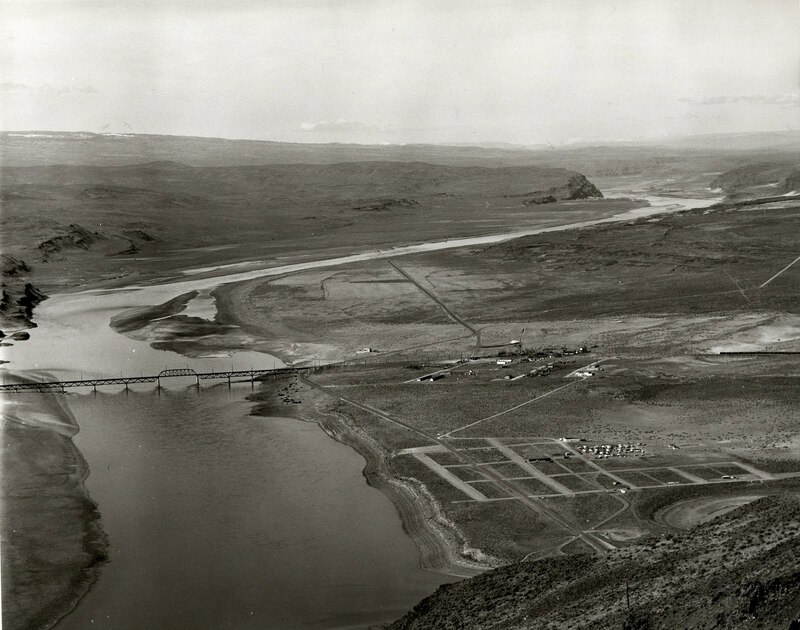 Wanapum dam now in place. Interstate 90 bridge in place. Thanks to Don and Colleen Long for making this trip happen. Dan -- fabulous work scouting out the photo like this. What a unique look at a remote area of WA state. I really like the string of (what appears to be) 40' boxcars in the original picture. It's interesting to see how much has changed and how much has not. Thanks for the comments. It is a blast going out with a photo in hand and trying to find where it was taken. Our trip that day also took us to the old ice cave at Smyrna.